Former King Gyanendra’s recent pilgrimage to the two eastern hill districts Ilam and Panchthar and earlier pilgrimage to the mid-Tarai districts have given clear message that still the institution of monarchy is the hope among the people. Even after dethronement of the institution above a decade, the image of the monarchy has not only occupied space in people’s hearts but they also want restoration of the institution. The message is that general public had never wished to declare their motherland a republic nation. Also, the message is that monarchy is very popular among the people. Grand success of the Mechi-Mahakali Yatra organised by Rastriya Prajatantra Party last month is also related to the popularity of the institution of monarchy, as we all know, the party’s prime agenda is to restore a Hindu Kingdom. In spite of foreigners’ conspiracy, RPP, in the second constituent assembly election, was stood as the third largest party. However, when the party leaderships misused their vote for power politics by forgetting its election agenda, in the following election, the voters gave punishment to the party. After facing a heavy loss in the past general elections, the RPP leaderships have regretted on their past mistakes. In result, the RPP campaign for Mechi-Mahakali Yatra got a good response. The fact is that the absence of the institution of monarchy has not strengthened federalism and republicanism. Whenever the former king moves around and sometimes attends family reception, those leaders in power are shaken. They are found giving warning to cut off all the facilities given to the former head of the state. They are found saying the former king for not dreaming about restoration of the institution of monarchy. The ground reality is different. General public want the institution as any individual cannot play the role played by the institution. 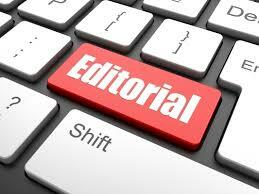 The institution is still a symbol of unity, although, there is no any constitutional role for the institution. The KP Sharma Oli led government, which is shaking hands with CK Raut — who is campaigning for a separate nation by splitting Nepal’s Tarai districts — demonstrated brutality on the peaceful demonstration organised by RPP demanding restoration of the Hindu nation, a roundtable conference for restoration of the institution of monarchy, action against corrupt political leaders, etc. This action of the government can be taken as the act of feared psychology. The government should become clear that brutal suppression cannot strengthen the foreigners imposed political system. A democracy should be able to respect general public’s aspirations. Finally, while welcoming New Year 2076 BS, we wish for greater unification among the Nepalis to protect and preserve our own identity, culture, values, tradition, national integrity, sovereignty and independence! 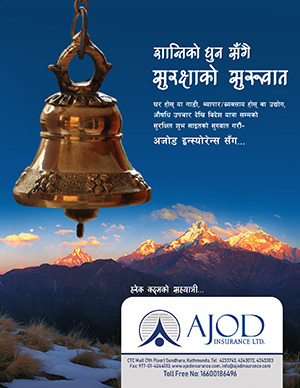 We wish for good health, happiness for all the Nepalis and permanent peace in the motherland. Let Nepal Be Nepal!